While some parts of the country are still shaking off the last snows of winter, spring weather has officially sprung for many of us. And do you know what that means? 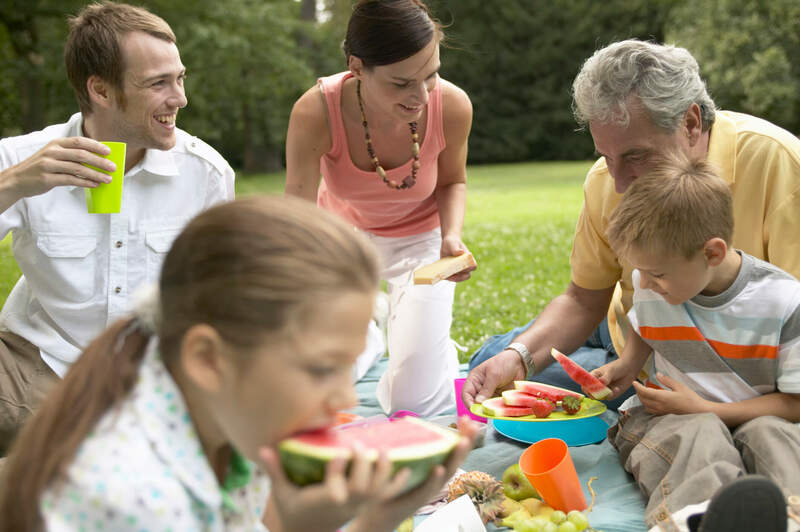 Planning a family picnic might seem like a lot of work, but the truth is you can go as small or big as you’d like—a casual day at the park with your immediate family, a large-scale family reunion blowout with all your relatives in attendance, or anything in between. Whatever you do, don’t forget the dog! We wanted to give you a head start on your planning efforts, so we put together this quick guide to walk you through the process and give you some picnic pointers. When you think about it, a picnic is one of the most accessible and affordable activities you can provide for your family. All you really need is a basket full of tasty food and a nice park where you can lay back in the grass to enjoy it. 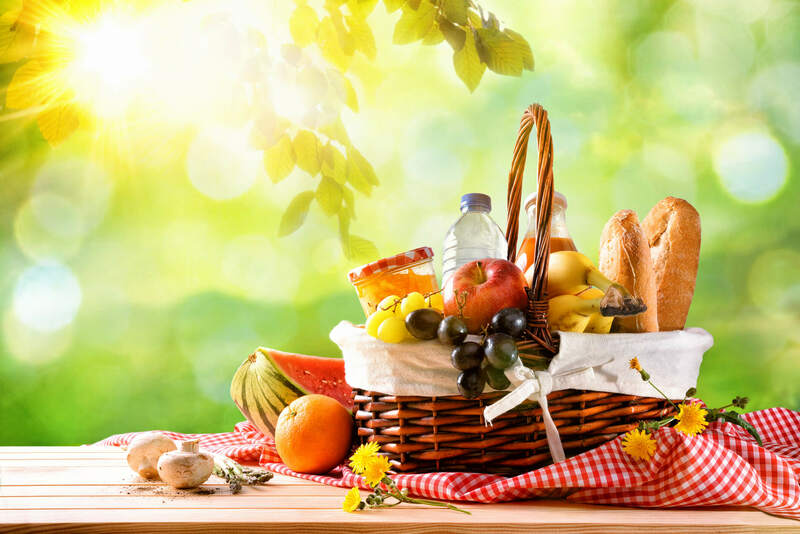 While any city park near your home will likely do, putting in even a small amount of effort when choosing a picnic location can elevate the entire experience for everyone present. How many guests will you invite? The more people in your group, the more room you’ll need to spread out. If it’s just you, your spouse, and your children, a quiet corner of your neighborhood park is all you need, whereas if you plan on 20 or more of your friends and family members showing up, consider looking into larger parks, especially those with pavilions or other group-friendly facilities. Age of attendees? Not all picnic locations are appropriate for all age groups. For example, setting up at a river- or lake-side park could be dangerous if you have toddlers who need constant supervision, whereas older kids and teenagers might love the location for the swimming and fishing opportunities. Also, young kids will really appreciate having a good playground where they can carry on with their buddies and play with other kids they meet at the park. Where are your guests coming from? Choosing a centrally-located picnic venue is a kind gesture to make it easier for your invitees to attend. Local city and neighborhood parks are the most obvious options for hosting a picnic. But if your group is willing to travel a little further outside the city, state parks and campgrounds on National Forest land can make for some beautiful picnic locations. While nothing screams “picnic” like a traditional wicker picnic basket and accompanying red-checkered blanket, don’t feel like you need to rush out and buy one for your outing. After all, it’s all those delicious snacks and treats that go inside the basket that matter. But what food should you bring? First of all, don’t overthink it. Your children’s favorite sandwiches, a few bags of chips, juice boxes, and something sweet for dessert are all you really need for a casual family picnic. Loading up on snack foods—crackers, nut mixes, cut fruit, etc.—is always a good idea as it gives everyone something to graze on throughout the day. Whatever you do, bring more food than you think you’ll need. Playing in the sun all day can work up a mighty appetite and you’ll want to have plenty of fuel for your crew. For medium-sized groups, say, with 5 to 7 families, inviting guests to bring their own dishes to share with everyone is a great way to save yourself time and money. If you’re sending out invitations, have people sign up to bring certain food items and drinks so there isn’t any overlap and everyone has food to eat that they actually like. A potluck picnic is perhaps the best option if you’re dealing with a bunch of picky eaters! If you decided to go all-out and invite your entire contact list, enlisting professional help in the food department can make planning even the largest group picnics vastly easier. Do you really want to cook and transport enough for 40 people? Didn’t think so . . .
A quick online search will put you in touch with catering companies in your area. Take your time to peruse their menus, read reviews from past customers, and call to ask any questions to help you pick a caterer that will provide food your group will want to eat. Many restaurants also provide catering services, and some fast-casual establishments (like Chipotle Mexican Grill) can be great catering options for groups of all sizes. If your picnic party only consists of a handful of people, don’t rule out catering—especially if you’re short on time and don’t want to fuss with food. Even a quick stop at a sandwich shop to pick up some subs or sandwich trays can be a good option for a leisurely weekend picnic. You don’t need much to enjoy a day at the park, but there are a few essentials that can make the day. Looking for an easy way to keep everything organized on the way to the park? We recommend checking out the Travall Guard and Divider to keep everything organized and well-contained in your vehicle’s trunk. You’ve invited your guests. You’ve packed your picnic basket or arranged for catering. The car is loaded and you’re on route to the park you’ve so carefully chosen for the occasion. Now the question is: what do you do when you get there? One of the most refreshing aspects of a picnic is that there is no agenda. It’s just you, your loved ones, and a full day where anything goes (within reason, of course). However, as the organizer of the picnic, you can have a big influence on the amount of fun had by planning some activities to do throughout the day, and perhaps more importantly, having lots of toys and games to keep everyone entertained and engaged. Use this list of picnic activity ideas as a starting point and tailor what you bring to your group with lots of options for all age groups. Take a nap . . . because no one said you can’t! 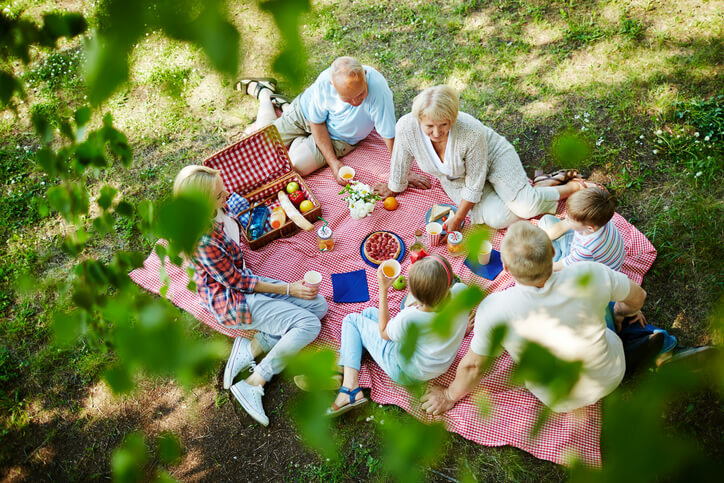 Taking your family on a picnic can be a great way to relax on a spring or summer weekend when the weather is right and everyone is available for a get-together. As with any family-related event, there may be moments of stress when planning the picnic or looking after the little ones throughout the day but try your best to relax and enjoy yourself—having done all that planning, you deserve it!